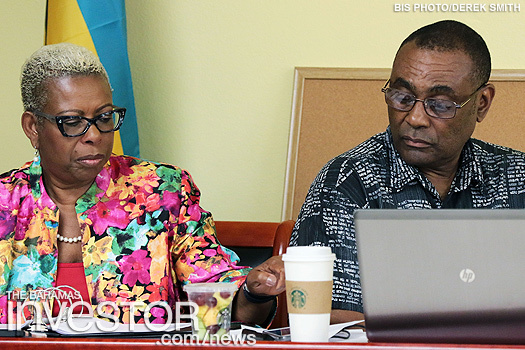 Entrepreneurs, managers and small business owners participated in a two-day workshop sponsored by The Bahamas Agricultural and Industrial Corporation (BAIC). The workshop is a business strategy training programme with the objective of capacity building of small and medium enterprises. The programme comprises ten training modules and features an experiential learning model, incorporating essentials of profitability, competitive advantage, competitive assessment, production efficiency and effectiveness, and product strategy. The event has been made possible through joint partnership between The Bahamas and the Caribbean Export and Development Agency. The workshop spans August 21-22, 2018 at BAIC’s Corporate Centre on Old Trail Road. 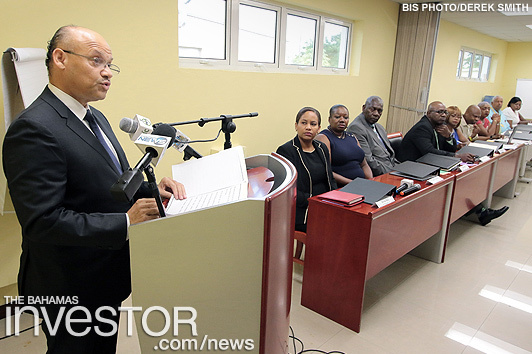 Executive chairman of BAIC Michael Foulkes delivered welcome remarks at the opening of the workshop, noting that the ‘experiential’ training is most suitable for adult learners and entrepreneurs. “In an environment where national focus is oftentimes perceived as being heavily skewed towards employee training as opposed to SME business empowerment, BAIC, along with the Small Business Development Centre, is proud to be a part of a team that focuses on providing SMEs with modern tools and technical assistance to be successful in their businesses,” said Folks. The Association of International Banks and Trust Companies in The Bahamas capped off a busy year in the international financial services sector with its Annual General Meeting last month. Prime Minister Dr. Hubert Minnis has revealed that his government has made a deposit of $10 million for the purchase of the Grand Lucayan resort.